Mom knows best is an oft-repeated expression. That’s because moms, it seems, are equipped with the inherent ability to know when something’s going on with their loved ones without exactly knowing how they know. While mother’s intuition sometimes defies logical reasoning, the medical community is increasingly acknowledging its existence. There are countless instances of mothers asking doctors to take “another look” at their children because they know in their heart of hearts that something’s wrong. Mo ore often than not, the mothers were proved correct. A research study published in The Lancet, one of the world’s oldest and most respected general medical journals, suggests that doctors should take mother’s instinct into serious consideration when treating sick kids. Judith Orloff, M.D., psychiatrist and author of the New York Times bestseller “Second Sight,” supports this statement and says that in her profession, she has seen intuition at work many times, especially among mothers. Intimately intertwined for nine months, mother and child form a unique bond, allowing the former to tap into the latter’s thoughts and feelings intuitively. Mom bloggers, Jenny Infante-Reyes of mymommyology.com and Kris De Guzman of ocmominmanila.com, who both have two daughters, attest to this. Jenny shares that her daughter Jamie once had a bad cough and at one point she just had a nagging feeling that she should give this case more attention. Fortunately, she listened to her inner voice and took her daughter to the hospital and found out that Jamie had early stages of pneumonia. Kris shares similar experiences with her own daughters, and because of this has tried to become more attuned to her instincts as a mother. “I believe that mom intuition is real. I think every mom has a connection with her child, perhaps because we were bonded together in utero via the umbilical cord for 9 months, and now there is still that invisible bond. I call it a mom’s sixth sense”,says Kris. “Today’s moms have access to so many sources of information that we sometimes forget that we are gifted with a very powerful sense—our instinct. They say all women are born with such an instinct, but I believe that moms have a heightened sense since we give so much care and nurturing love to our family and children and are so connected to them. We want to remind moms about this “superpower” and this is why we chose ‘mothers’ instinct’ or we call it MOMTUITION as our theme for this year’s EXPO MOM,” says Janice Villanueva, founder of Mommy Mundo, organizers of Expo Mom, the definitive source of parenting-oriented trends, products, and information. At Expo Mom 2013, moms will be reminded to trust their inner voice, listen to their guts, and realize ways of tuning in to this most precious gift as a way of celebrating it! 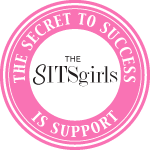 It is the perfect venue for moms to connect with other moms about their intuitive experiences as Expo Mom 2013 will gather influencers to give testimony to the power of mom intuition. Experts will teach moms to develop this gift and take full advantage of it. At Expo Mom’s trademark mompreneur market, a wide range of products and services, including the latest from fave mom and baby brands, will bring out the best in mommies. Mompreneur booths such as Nursing Mom, Mama Baby Love, Momtrepreneur Shop, Tot Couture, Indigo Baby and Nurture Nook. Expo Mom 2013 will also showcase of host of informative and entertaining workshops and activities. Created for moms and moms-to- be, Expo Mom also provides the necessary mom amenities such as a breastfeeding lounge, a diaper changing area, and a play area for young kids. On April 6 and 7 (Saturday & Sunday), visit Expo Mom 2013 at the Rockwell Tent, and find out why moms know best! Gates open at 10am. There is a minimal entrance fee of P30 per person, 100% of registration fees go to the MomShare outreach projects. 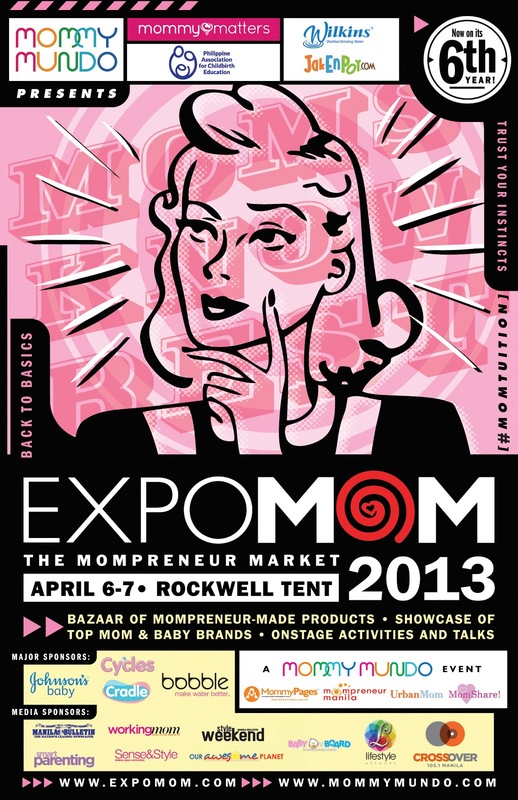 To be updated on Expo Mom, LIKE the MOMMY MUNDO page on Facebook or visit www.mommymundo.com or www.expomom.com. EXPO MOM 2013 is made possible by Shop Mommy Matters, Philippine Association of Childbirth Educators (PACE), Wilkins Distilled Water and Jakenpoy.com.Supported by: Johnson & Johnson, Cycles Mild Detergent, Cradle, Parteizeit and Bobble. Media Partners include Manila Bulletin, Sense & Style Magazine, Style Weekend, Working Mom Magazine, Lifestyle Network, Smart Parenting, Baby on Board,Crossover 105.1 FM, Ourawesomeplanet.com, Urban Mom Magazine and www.MommyPages.com.ph.